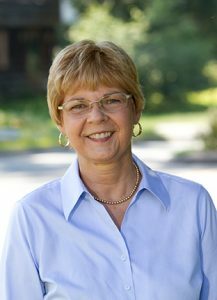 State Rep. Tami Zawistowski represents the 61st General Assembly District serving Suffield, East Granby, and Windsor. She was first elected to the House of Representatives in an April 2014 special election, and was re-elected in the 2014, 2016 and 2018 general elections. She serves as the Ranking Member on the legislature’s Planning & Development Committee, while also serving on the Appropriations and Transportation Committees. She is a small business owner and a former bank executive vice president who also holds professional experience in real estate finance and property valuation. Tami sought a seat in the legislature over concern for Connecticut’s financial future, particularly a state budget that tests the boundaries of the Constitutional Spending Cap and includes levels of borrowing that will burden future generations. What’s more, Tami, an East Granby resident, seeks solutions to a problem that blocks economic growth Connecticut needs: Our state’s reputation as a place that is unfriendly to business owners. Tami is an advocate for efforts to create a more favorable tax and regulatory environment in order to improve our state’s ability to compete with other states, encouraging both entrepreneurship and the expansion of existing companies.